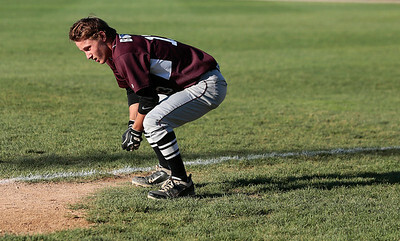 Kyle Grillot - kgrillot@shawmedia.com Prairie Ridge's Kyle Buresch reacts after being tagged out in the final double play of the state semi-final against Providence Catholic Friday, June 13, 2014. Providence Catholic beat Prairie Ridge, 8-7. 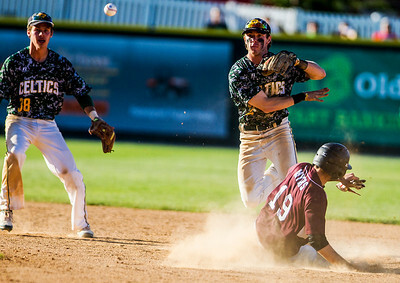 Kyle Grillot - kgrillot@shawmedia.com Providence Catholic's Jackson Staulus (left) runs to third runs to third after Prairie Ridge's Nick Schmidt misses a pass during the third inning of the state semi-final Friday, June 13, 2014. Providence Catholic beat Prairie Ridge, 8-7. 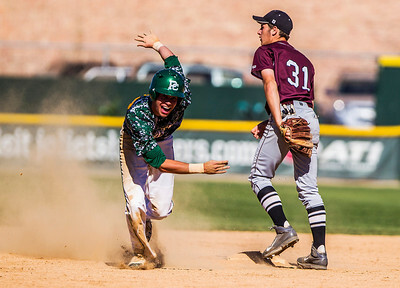 Kyle Grillot - kgrillot@shawmedia.com Prairie Ridge's Connor Schneider attempts to tag out Providence Catholic's Alvin Perez during the first inning of the state semifinal against Providence Catholic Friday, June 13, 2014. 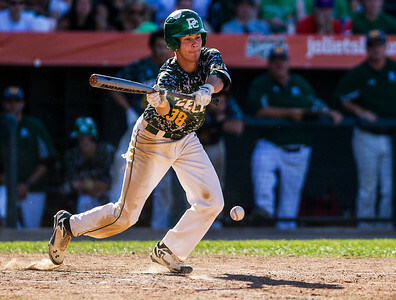 Kyle Grillot - kgrillot@shawmedia.com Providence Catholic's Phil Kunse hits an Austin Covers pitch during the first inning of the state semifinal against Providence Catholic Friday, June 13, 2014. 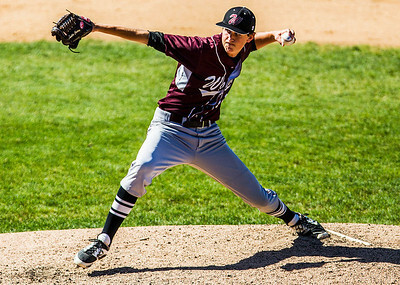 Kyle Grillot - kgrillot@shawmedia.com Prairie Ridge's opening pitcher Austin Covers pitches against Providence Catholic during the first inning of the state semi-final Friday, June 13, 2014. Providence Catholic beat Prairie Ridge, 8-7. 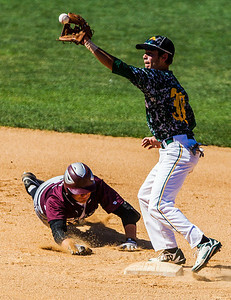 Kyle Grillot - kgrillot@shawmedia.com Prairie Ridge's Marcus Sargeant (left) slides safely to second as Providence Catholic's Jackson Staulus misses a catch during the fourth inning of the state semi-final against Providence Catholic Friday, June 13, 2014. 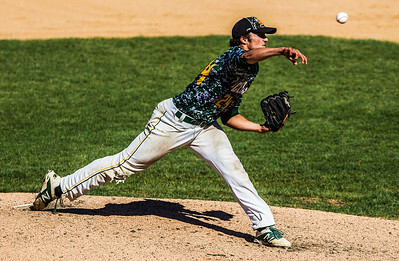 Kyle Grillot - kgrillot@shawmedia.com Providence Catholic's Dylan Rosa pitches against Priarie Ridge during the second inning of the state semifinal Friday, June 13, 2014. 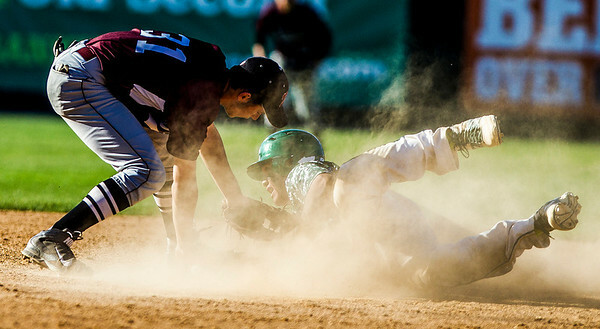 Kyle Grillot - kgrillot@shawmedia.com Providence Catholic's Jackson Stulas errors as Priarie Ridge's Christopher Slack slides safely to second base during the third inning of the state semifinal Friday, June 13, 2014. Providence Catholic beat Prairie Ridge, 8-7. 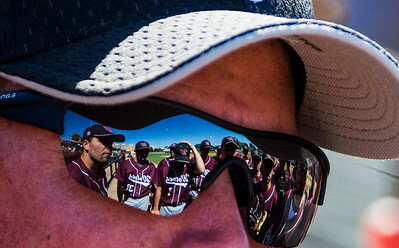 Kyle Grillot - kgrillot@shawmedia.com Prairie Ridge Head coach Glen Pecoraro talks with his team before the start of the state semifinal against Providence Catholic Friday, June 13, 2014. Providence Catholic beat Prairie Ridge, 8-7. 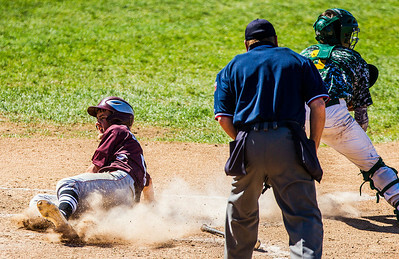 Kyle Grillot - kgrillot@shawmedia.com Prairie Ridge's Christopher Slack slides safely home during the first inning of the state semi-final against Providence Catholic Friday, June 13, 2014. Providence Catholic beat Prairie Ridge, 8-7. 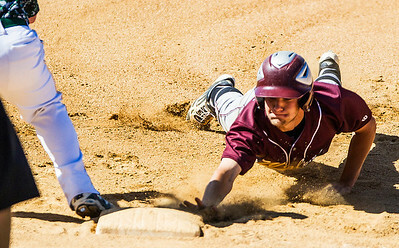 Kyle Grillot - kgrillot@shawmedia.com Prairie Ridge's Christopher Slack slides safely back to first during the first inning of the state semi-final against Providence Catholic Friday, June 13, 2014. 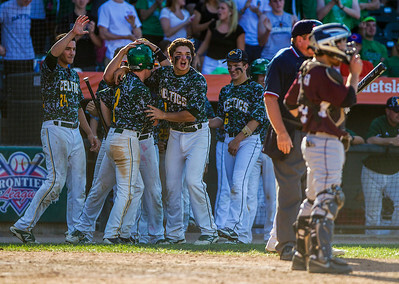 Kyle Grillot - kgrillot@shawmedia.com The Providence Catholic team celebrates a scored run during the sixth inning of the state semifinal against Providence Catholic Friday, June 13, 2014. Providence Catholic beat Prairie Ridge, 8-7. 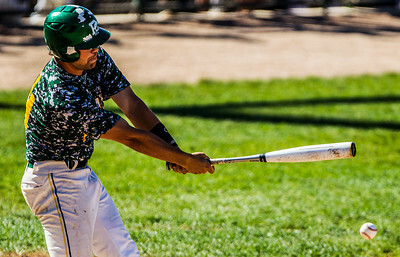 Kyle Grillot - kgrillot@shawmedia.com Providence Catholic's Jimmy Jeffries catches a Dylan Rosa pitch during the sixth inning of the state semifinal against Providence Catholic Friday, June 13, 2014. Providence Catholic beat Prairie Ridge, 8-7. 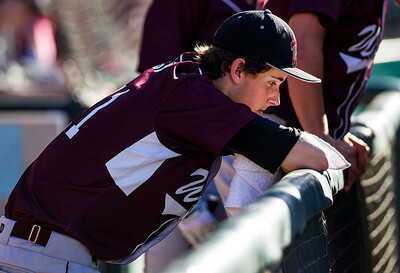 Kyle Grillot - kgrillot@shawmedia.com Prairie Ridge's Dustin Thelander takes a break during the fourth inning of the state semifinal against Providence Catholic Friday, June 13, 2014. Providence Catholic beat Prairie Ridge, 8-7. 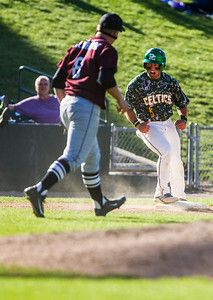 Kyle Grillot - kgrillot@shawmedia.com Providence Catholic's Cam Galgano celebrates after safely making it to third base during the sixth inning of the state semifinal against Providence Catholic Friday, June 13, 2014. 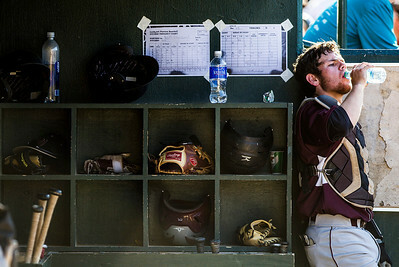 Kyle Grillot - kgrillot@shawmedia.com Prairie Ridge's Austin Covers returns to the dugout after the fifth inning of the state semifinal against Providence Catholic Friday, June 13, 2014. Providence Catholic beat Prairie Ridge, 8-7. 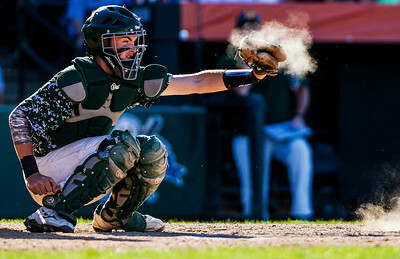 Kyle Grillot - kgrillot@shawmedia.com Providence Catholic's Jackson Stulas bunts an Austin Covers pitch during the fifth inning of the state semifinal Friday, June 13, 2014. Providence Catholic beat Prairie Ridge, 8-7. 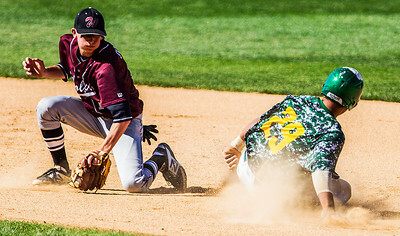 Kyle Grillot - kgrillot@shawmedia.com Prairie Ridge's John Meyers (19) is tagged out during the seventh inning by Providence Catholic's Mike Madej during the final double play of the state semi-final against Providence Catholic Friday, June 13, 2014.Providence Catholic beat Prairie Ridge, 8-7. 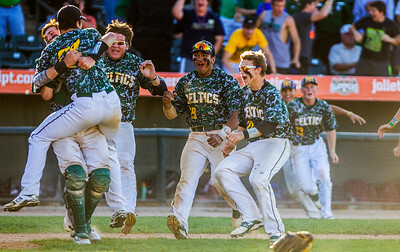 Kyle Grillot - kgrillot@shawmedia.com The Providence Catholic team celebrates with closing pitcher Jake Godfrey after beating Priarie Ridge in the state semi-final Friday, June 13, 2014. Providence Catholic beat Prairie Ridge, 8-7. 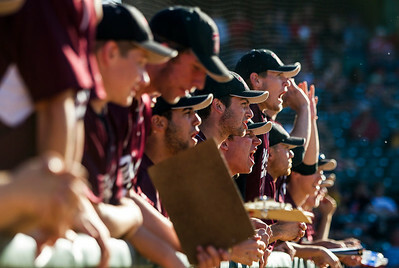 Kyle Grillot - kgrillot@shawmedia.com The Prairie Ridge team cheers on teammates during the seventh inning of the state semifinal against Providence Catholic Friday, June 13, 2014. Providence Catholic beat Prairie Ridge, 8-7. 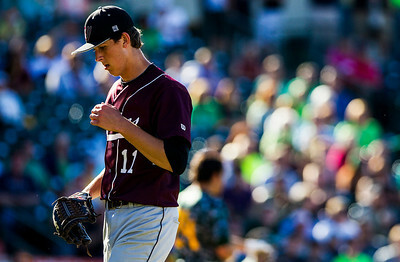 Kyle Grillot - kgrillot@shawmedia.com Prairie Ridge's opening pitcher Austin Covers takes a moment to himself after being relieved during the sixth inning of the state semi-final against Providence Catholic Friday, June 13, 2014. Providence Catholic beat Prairie Ridge, 8-7. 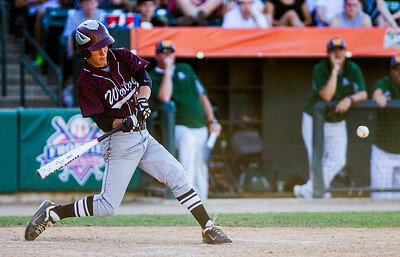 Kyle Grillot - kgrillot@shawmedia.com Prairie Ridge's Kyle Buresch hits the last pitch of the game during the seventh inning of the state semifinal against Providence Catholic Friday, June 13, 2014. Providence Catholic beat Prairie Ridge, 8-7. 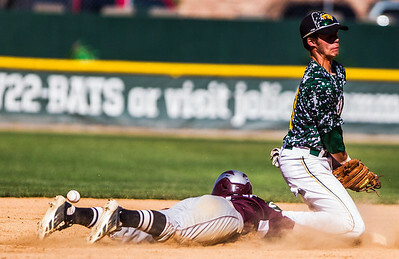 Kyle Grillot - kgrillot@shawmedia.com Providence Catholic's Alvin Perez (right) slides safely to second base as the ball slides out of Prairie Ridge's Nick Schmidt's glove during the third inning of the state semi-final Friday, June 13, 2014. Providence Catholic beat Prairie Ridge, 8-7. 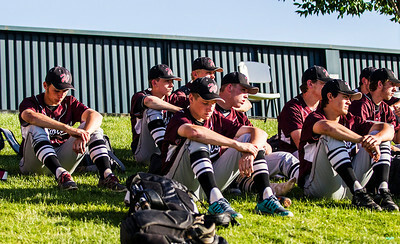 Kyle Grillot - kgrillot@shawmedia.com The Prairie Ridge team including closing pitcher John Tieman (third from left) reflect on the game after losing the state semi-final against Providence Catholic Friday, June 13, 2014. Providence Catholic beat Prairie Ridge, 8-7. 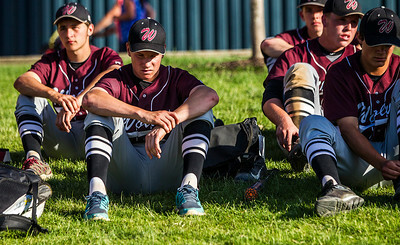 Kyle Grillot - kgrillot@shawmedia.com The Prairie Ridge team including closing pitcher John Tieman (second from left) reflect on the game after losing the state semi-final against Providence Catholic Friday, June 13, 2014. Providence Catholic beat Prairie Ridge, 8-7. 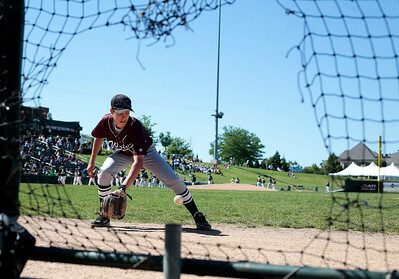 Kyle Grillot - kgrillot@shawmedia.com Prairie Ridge's James Mikolajczewski warms up before the start of the state semifinal against Providence Catholic Friday, June 13, 2014. Providence Catholic beat Prairie Ridge, 8-7. Providence Catholic's Dylan Rosa pitches against Priarie Ridge during the second inning of the state semifinal Friday, June 13, 2014.